Face brick and exposed walls have had a massive come back in design trends of late, especially in home interiors, as an eye-catching feature wall. 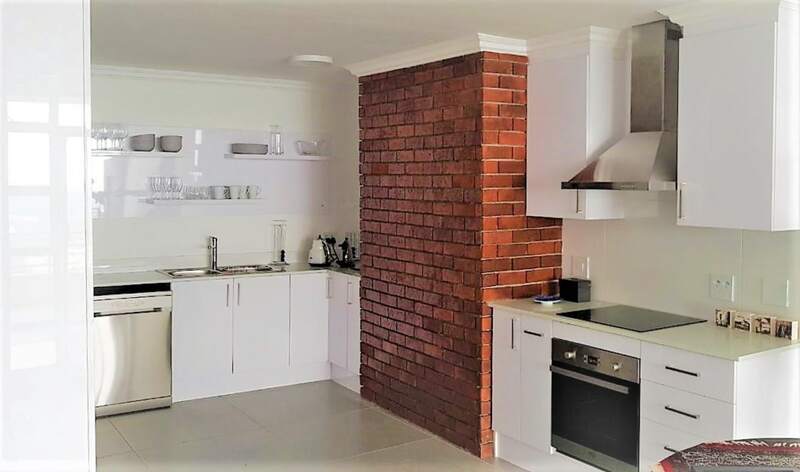 This feature wall was specifically chosen to be the focal point of the kitchen, making a bold statement and adding much character to the space. We designed a gorgeous Solid White Oak kitchen table to bring a hint of the eclectic into the heart of this home. Zingana Kitchens also did the simple bathroom vanity as well the built in cupbpard solutions for various rooms in this home.